DP World UAE Region will be showcasing its latest range of offerings for the petrochemicals and chemicals sector at the 11th Gulf Petrochemical and Chemical Association (GPCA) trade show which kicks off on April 15 in Dubai. The DP World UAE Region portfolio includes Jebel Ali Port, Mina Rashid Cruise Terminal and Coastal Berth, Mina Al Hamriya in Dubai city, Jebel Ali Free Zone (Jafza), National industries Park (NIP) and Dubai Auto Zone (DAZ), and Dubai Trade & World Security. During the three-day event, the company will highlight new door-to-door logistics solutions that cover the full breadth of the supply chain and support customers every step of the way, said teh Dubai group in a statement. These solutions are based on generating and leveraging synergies from integrating the activities of its numerous businesses – including Jebel Ali Port, Jebel Ali Free Zone, Dubai Trade, and many others – and creating one of the most efficient and robust supply chains in the GCC, it stated. CEO and Managing Director Mohammed Al Muallem said: "The future is vibrant for the regional downstream petrochemical industry as it represents one of the fastest growing chemical markets globally." "Through our seamless and efficient supply chain solutions, we are facilitating industry growth and competitiveness in global markets. The industry has begun to embrace the next-generation technology; as a leading trade enabler, we are focused on building the progressive and sustainable solutions that this sector demands," he noted. 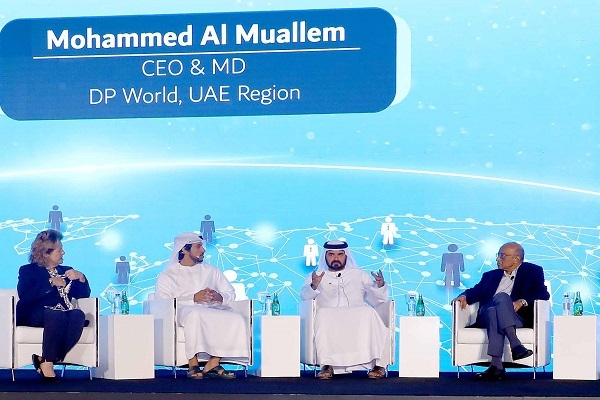 DP World UAE Region is one of the leading hubs for the petrochemicals and chemicals sector in the Middle East, said the top official.